Black Friday – a few club members already had mishaps today. I don’t know!!! smashed car doors, breaking into lockers!! Who locks their car keys and locker keys in their locker???? Beautiful day today so surprising after all that terrible weather over the last few days. Thanks to everyone for supporting Halberg Day, we raised over $500.00. Awesome effort to you all!!! Winner of the Jim Parkin Cup was Ray Johnstone, Runner – up Dave Fildes, the following members also won prizes, please collect in the office: Alex Ross, Idour Gregory, Norm Muir, Stephen Quinn, Jeff Rigby, Michael Baines, Chris Herbert, Tony Claasen, Greg Judd. Winner of the Lil Parkin Cup was Kim Abrahams, Runner-up Faye Turner, Carole Medway, Lina Worthing. – Congratulations to you all !!! 1st Richard Hulsbosch, 2nd Chris Brooks, 3rd Rick Stevens, 4th Richard Hulsbosch, 5th Toppy, 6th Chas Evans, 7th Jo Carson, 8th Norm Lock, 9th Terry Bastion, 10th Ray Randle. – Congratulations to all winners, thanks to everyone that supported the raffle – you are all AWESOME. When you come into the Office/shop please take your membership card on the table, also we still have a lot of programme books available. Clubrooms are closed on Wednesday 25th April – ANZAC DAY. Club Member Patrick Carson is still unwell after being hit by a golf ball in the head, our thoughts go out to him for a speedy recovery. Latest update on Maree is that she is a very lucky Lady, she has obviously been suffering from a distressed heart condition for some time, and if she had not got this warning she apparently would not have made Christmas, she has now been transferred out of ICU and in ward 6 at Wellington Hospital, quite a few club members have asked if we could do something for Maree, so I have put out a donation box for members to contribute. I will get a card next week for you all to sign. Maree has many months of recovery. Good Luck to all our Interclub teams playing tomorrow – BE WINNERS EVERYONE!!!! Monday 16th April we are hosting the WGI Silver Pennants so the course will be closed until about 10.30am. Monday 23rd April the course will be Vertidrained. Sunday 22nd April first day for Matchplay Championships for Men and Women. Exciting !!! who is going through to the next round??? Good Luck to you all!!! Saturday 28th April we are hosting 3 Men and 1 Women’s Interclub teams, so very limited tee times in the morning, but should be all good for the afternoon. Lots of golf clubs have been found on the course, they are in a container by the fridge in the shop/office. Have you lost one???? What ever has not been claimed I will be selling. Your Bonus Cards finished on Monday the 30th April, you can use them at Shandon or Judgeford for a free round. Good Luck to the Hurricanes tonight playing the Chiefs. Can’t wait for the Warriors and Broncos game tomorrow. Saturday – Interclub – course available late morning. Sunday – Golfer of the year Round 2 for the Men, Fay Jones Trophy – Stableford for the Ladies. Monday – Course closed till 10.30am WGI Silver Pennants. 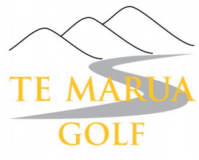 Tuesday – MW Men Stalwart Shield Rd3. Wednesday – MW Women . Thursday – MW Men Stalwart Shield Final.